Jodie Hewitt shares her experiences of her first ever professional conference - the CILIP 2016 conference in Brighton. 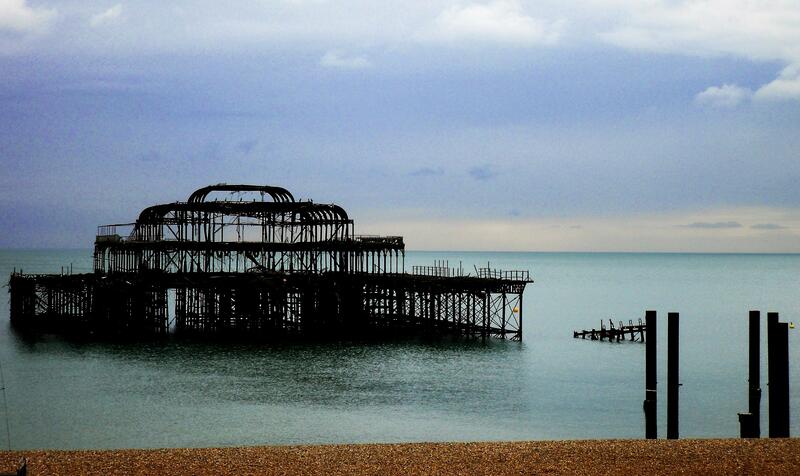 I was lucky enough to win a UKeiG bursary to attend the CILIP conference in Brighton earlier this year. Without UKeiG's help, I would not have been able to attend. It was such a great learning experience that I have been motivated to identify – and sign up to – other professional events including the LISDIS conference. Here I hope to share my key learnings from the sessions I attended. Keynote speaker Scott Bonner (What we did in Ferguson: A warts-and-all telling of stories) described how Scott and his staff supported their community when they needed it most. He discussed the challenges and opportunities that were open to him and the thought process he had during each key moment. The library became a focal point and acted as the safe haven, hub of activity and discussion point during the riots and closure of many public services including the local school. The highlight was the way in which he discussed the library being important to everyone and acting as a focal point for bringing the community back together. He was very inspirational and passionate in his experiences and his beliefs that the library is a safe place for all who enter. I believe many in the audience could identify with aspects of his story and with his feelings on how and why he acted as he did. I for one was very moved and inspired by his actions. I work in the FE sector – and am a student too. This helped me choose to attend talks in the Managing Innovations track of the conference. I found the Knowledge Management talks by Stephen Phillips and Paul J Corney incredibly useful as I am currently studying Information Literacy and Knowledge Management at university. The talks given helped me think about the application of KM principles to my own work practices, such as reaching outwards from my department to target senior managers. At work we routinely achieve many things but unfortunately, as is common with libraries, that work is not easily translated into hard data that can be measured against ‘targets’. . The talks about KM and others on Marketing and Running a Library like a business discussed how to make the Library and Information work appear more imperial. They suggested approaching the promotion of library work as highlighting the objective of the task and the subjective impact to enable management to see the work accomplished in a similar format to other data driven areas. In my case, working in a FE college facing budget cuts, it is vital to be able to showcase our reason for existing. My overall impression of the conference was one of amazement. For the first time I was truly aware of the diversity of the Library and Information Sector. I really enjoyed meeting and talking to all the different attendees and hearing their stories of where they work and what they do. This was my first conference and it has greatly boosted my confidence and interest in information and libraries. The conference has given me a new perspective on what the professionals of the Information and Libraries world are involved in and what can be achieved with the right information at the right time. I would like to pass on my thanks to UKeiG for offering me the opportunity to attend the CILIP Conference, and to John Wickenden and Marja Kingma for assisting and hosting me and my fellow winner Megan during the conference. Jodie Hewitt is Assistant Learning Spaces Manager at Walsall College.